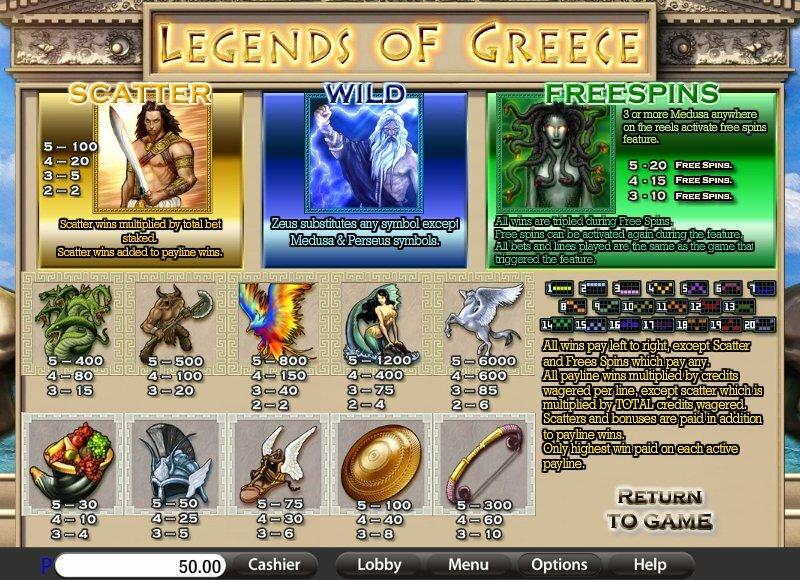 Overview: Experience the Legends of Greek Mythology from the ancient Artifacts, mythical Creatures and powerful Gods to the Courageous Heroes in this great video slot. WIN UP TO 30,000 COINS! 20 LINES, UP TO 20 FREE SPINS, WILD, SCATTER. 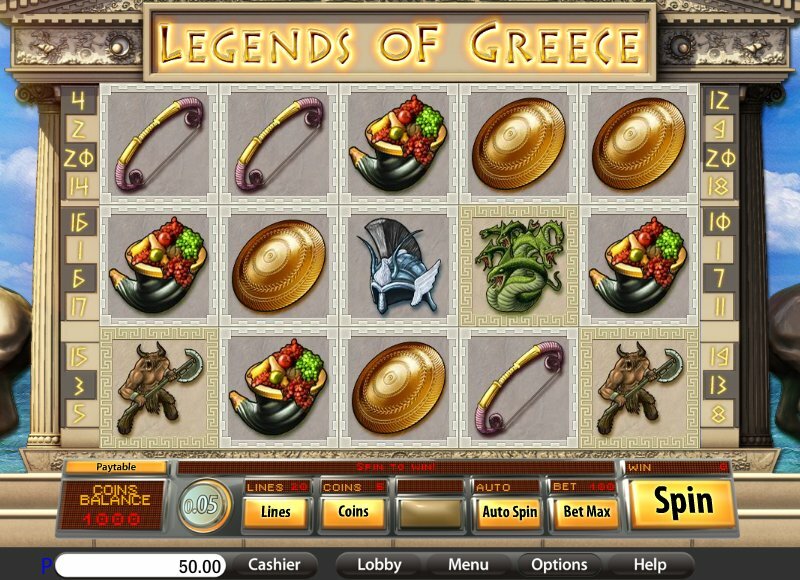 Similar Slots: If you like Legends of Greece, you might like these other slot machines from Saucify: Aladdin's Loot, Buckin' Bronco$, Legends of Olympia, Perfect Date, The Purse of the Mummy.